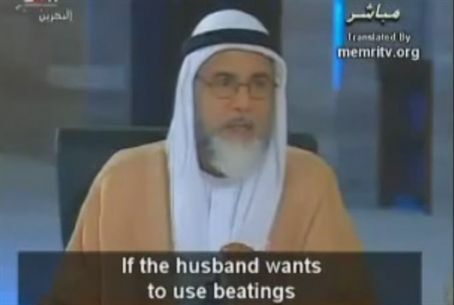 Among other restrictions, Mahmoud rules wife-beating should never be done in front of children and he “must not cause bleeding or bruises to her body.” Breaking bones also is forbidden. “If the husband violates these rules, he violates the rules of Allah. If she has been hurt, the husband is liable for what he has done because the woman is not his merchandise. He cannot do to her whatever he wants. Even if the wife forgives the husband, it does not mean that Allah will do the same on judgment day."